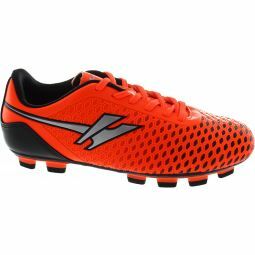 Lightweight faux leather upper for improved ball feel and internal protective heel shield. Tough outsole for strength & stability at high speed. Ideal for everyday and competitive football.